Yesterday ‘Friday the 13th Part 13′ took place on the streets of Paris, today I’d like to focus on 2 films that deal with the last moments of the German occupation of Paris in August 1944 that both handle the Dietrich von Choltitz & Raoul Nordling story. René Clément’s (Jeux Interdits, a.k.a. Forbidden games) ‘Paris brûle-t-il?’ (Is Paris Burning?, 1966) is one of those 60’s big budget productions with “more stars than there are in heaven” as MGM would say in their golden days, a lot of french (Montand, Signoret, Belmondo, Delon, … ) and international stars (Kirk Douglas, Anthony Perkins, George ‘West Side Story’ Chakiris, …). It tells the story of the French resistance who -knowing the Americans troops are nearing Paris- are trying to recapture their capital from the German occupiers. 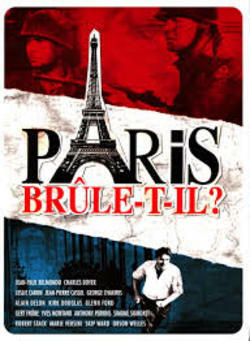 ‘Brennt Paris?’ is a famous question Hitler asked his Chief of Staff Alfred Jodl as he’d ordered general Dietrich von Cholitz (Gert ‘Goldfinger’ Fröbe) -who had recently been put in charge of Paris- to destroy the French capital. Dynamite was put in strategic places to burn down and flood Paris completely. The Swedish consul-general Raoul Nordling (Orson Welles) had several diplomatic contacts with von Cholitz to prevent him from executing Hitler’s order. The film was written by Gore Vidal and Francis Ford Coppola (who’d also written another WW II set screenplay for the film ‘Patton’ around the same time). 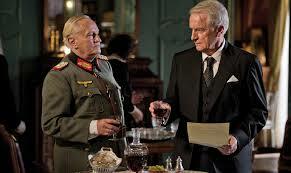 In 2014 Volker Schlöndorff (Die Blechtrommel a.k.a The Tin Drum) made a film called ‘Diplomatie’ (Diplomacy) based upon a stage play by Cyril Gely that depicts the same events. 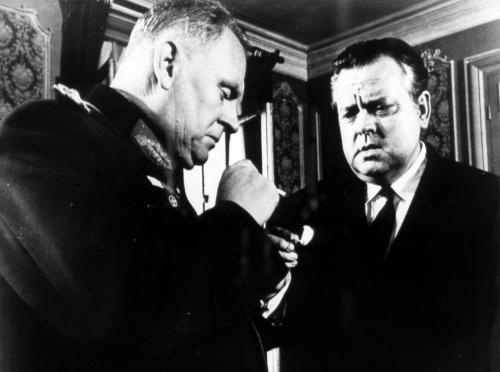 Schlöndorff’s film focuses soley on the discussions between Dietrich von Cholitz (Niels Arestrup) and Raoul Nordling (André Dussolier) which for dramatic purposes were set during one evening whereas in reality they took place over several days. As Paris still exists we know the outcome of the diplomatic actions beforehand but the film is heavily centered on/interested in the motivations and ethical beliefs of the central characters. At that time, luckily sanity prevailed. < Previous Suffragette. Classic treatment of an important subject matter. Next > M. Night Shyamalan’s The Visit. Don’t forget to wear your diapers.